Bo French says the "Thief Bill Waybourn" Facebook page he created to mock Tarrant County Sheriff Bill Waybourn was merely satire. Three law enforcement groups are calling it a "scandalous crime." 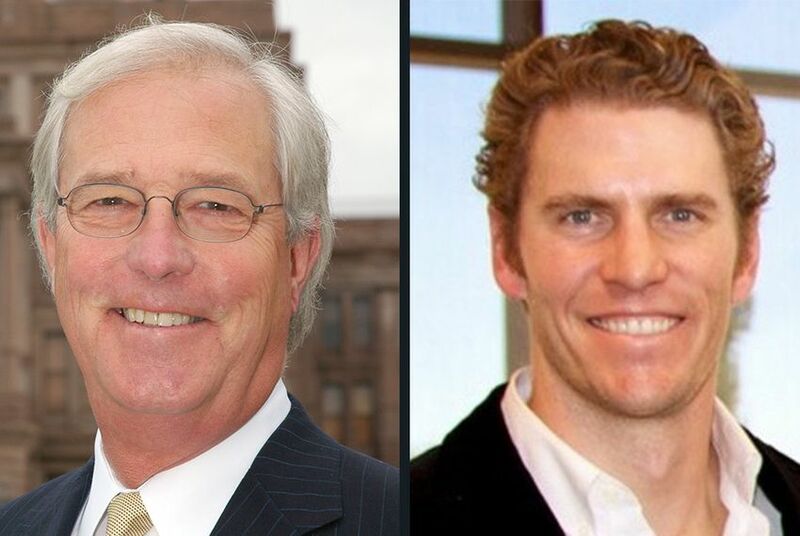 State Rep. Charlie Geren, left, is being challenged in the House District 99 Republican primary race by Bo French, right. Editor's note: This story has been updated with a statement from former Dalworthington Gardens Police Chief Bill Waybourn. Bo French, a Fort Worth businessman and Texas House hopeful, argues that “Thief Bill Waybourn,” a Facebook page he launched in March 2016 to criticize former Dalworthington Gardens Police Chief Bill Waybourn, was a harmless joke. Three North Texas law enforcement groups have taken a different view. "It wasn’t merely a political prank, it potentially was a crime," the presidents of the Tarrant County Law Enforcement Association, Arlington Police Association and Dallas Police Association wrote in a joint statement Friday. "We are also calling on the Texas Rangers to investigate this scandalous crime." The page was created, taken down and investigated in March and April of 2016, but the controversy didn't emerge into the public eye until this week, as French enters a bitter Republican primary rematch against state Rep. Charlie Geren, a former friend who beat him by 16 percentage points in the same race two years ago. French argues that the statement — and its suspicious timing — is merely a political ploy intended to disadvantage him ahead of March balloting. “The absurd accusation that a satirical Facebook page in opposition to Mr. Waybourn is an ‘impersonation of a peace officer’ is ridiculous and merely political rhetoric,” French said. The accusations against French come on the heels of his own efforts to bring legal battles into the primary. French alleged in a lawsuit this month that during the contentious 2016 primary, David Sorensen, one of Geren’s campaign staffers, triggered a Child Protective Services investigation of French by falsely alleging that the candidate was abusing his children. French insisted Friday that the law enforcement accusations are an attempt to distract from his own lawsuit. Geren said Friday he had no knowledge of the CPS investigation into French until the lawsuit was made public, and he denied any involvement in triggering the inquiry. “I have never involved anybody’s family in any campaign that I’ve had,” Geren said. Disclosure: Facebook and the University of Texas at Austin have been financial supporters of The Texas Tribune. A complete list of Tribune donors and sponsors can be viewed here. Correction: An earlier version of this story incorrectly referred to former Dalworthington Gardens Police Chief Bill Waybourn as the police chief in March 2016.